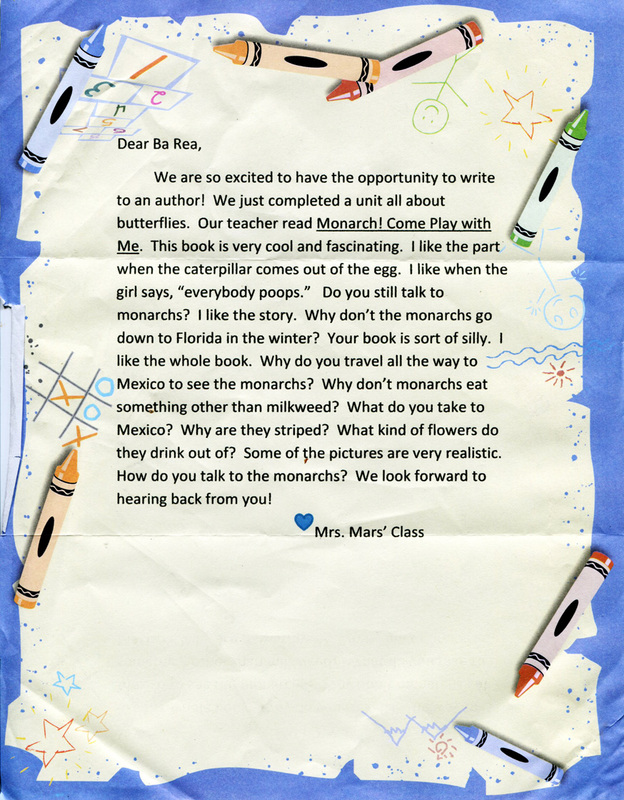 A Letter from Mrs. Mars’ Class at Imagine, Environmental Charter School in Pittsburgh, PA. Thank you for your letter. It is always good to hear from people who have read my books. I am so glad that you have been learning about butterflies. When I talk to monarchs, I observe them very carefully to understand what they are telling me. I ask my questions and, through my observations, the monarchs answer me. I use my eyes, my ears, my fingers, my imagination, my knowledge of math and science, my art and my love of story to understand. In Monarch! Come Play with Me I translated my conversations with monarchs into words so I could share it with you, but mostly my conversation with monarchs isn’t talking in words. I invite monarchs into my home every year. I watch for the milkweed to sprout and grow each spring. I hunt for monarch eggs in the milkweed patch. When I am lucky I get to see the mother monarch choosing the plant on which to lay her eggs. I watch the eggs hatch. I watch the caterpillars crawl and eat, molt and grow. Their stripes and colors help them blend in with the milkweed leaves. I watch them change into chrysalides. I watch the chrysalides develop until I can see the butterfly inside. I watch the butterfly push the chrysalis open and expand its wings. 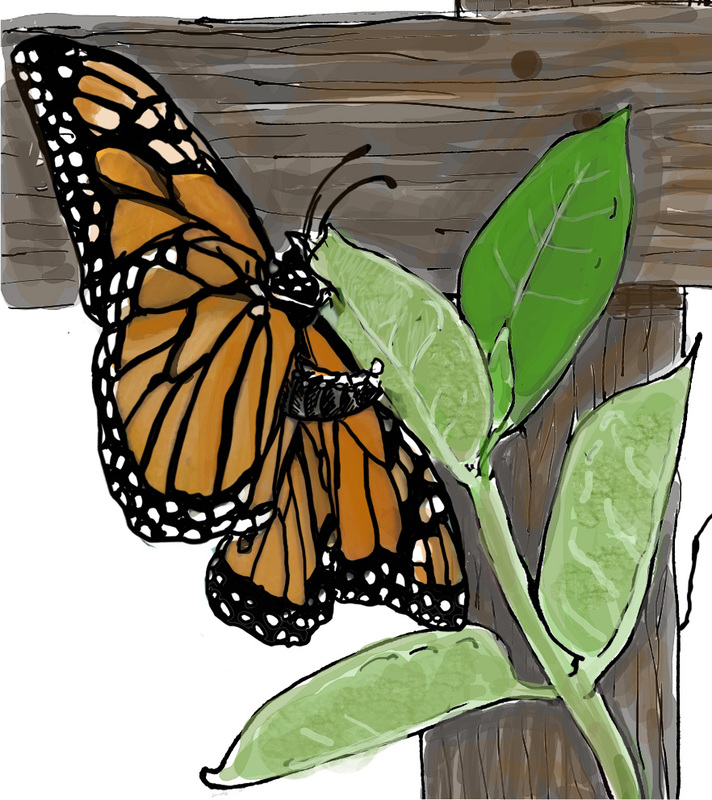 Watching and caring for monarchs has helped me understand things about my own life better. It has helped me understand more about the lives of the monarchs. And it has taught me how to use science to understand the world around me. A lot of what we understand about the lives of monarchs comes from scientific investigation. Science teaches us how to break down our really big questions, into simple, testable questions to find answers that are true. 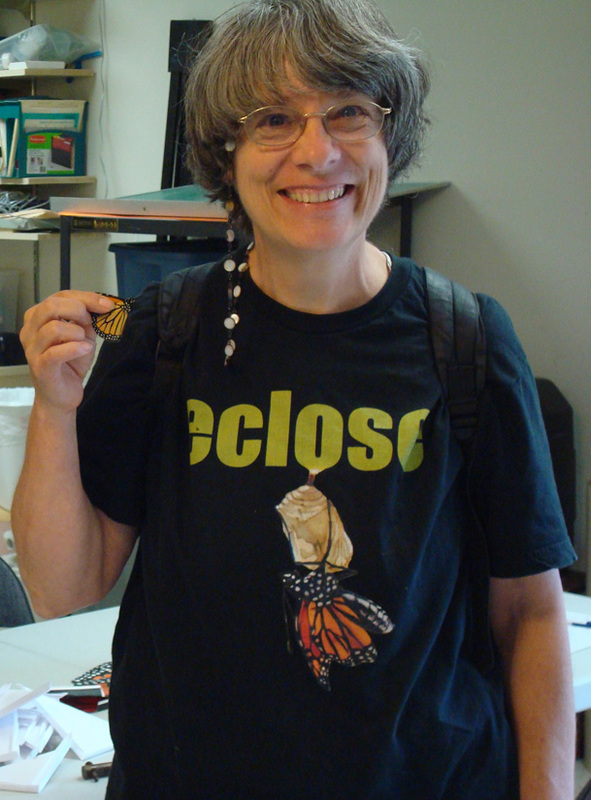 Some scientists tag migrating monarchs in the fall. When people have returned the tags, scientists have learned that some migrating monarchs do end up in Florida each fall. Many more continue on to Mexico. During the winter, when there is snow up north, millions of monarchs cluster in trees high up in the mountains in Mexico. It does get cold up in the mountains, but not as cold as it gets up here. On warm days the butterflies nectar on flowers and drink water from small streams and puddles. 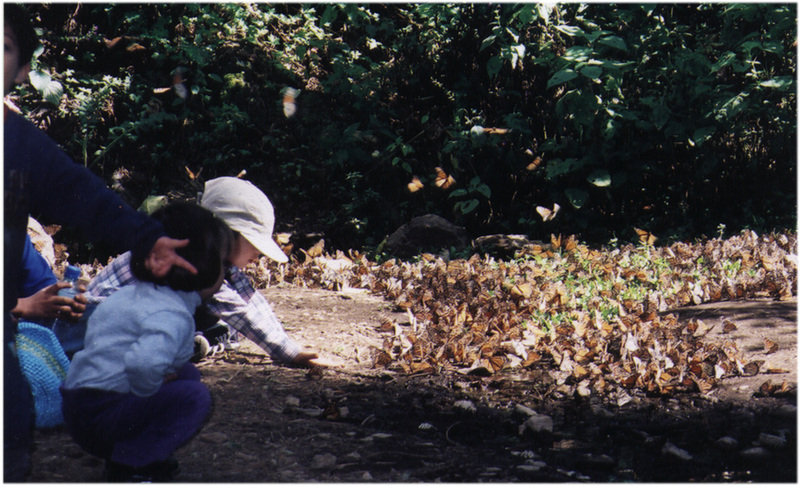 I love going to Mexico to see the monarchs in the winter. It is interesting to meet the people there and it is amazing to see so many monarchs in one place. Monarch butterflies can drink nectar from many different kinds of flowers, but they do have their favorites! When I go to Mexico I take my camera, my journal and a backpack with my clothes. I travel with a friend who speaks Spanish and can talk to the people we meet. My friend even translated Monarch! Come Play with Me into Spanish, Monarca Ven! Juega Conmigo, for our Spanish speaking friends! Caterpillars are young butterflies and moths. The caterpillars of each kind of moth or butterfly usually eat only one kind of plant. Monarch caterpillars eat only milkweed, but other kinds of caterpillars eat other kinds of plants. The mother butterflies and moths lay their eggs on the plant their caterpillars will eat so there will be food for them when they hatch. Did you know that there are many different kinds of milkweed plants that the monarchs can lay their eggs on? People in different parts of our country watch their monarchs grow up on different kinds of milkweed plants! Keep watching and enjoying monarchs!